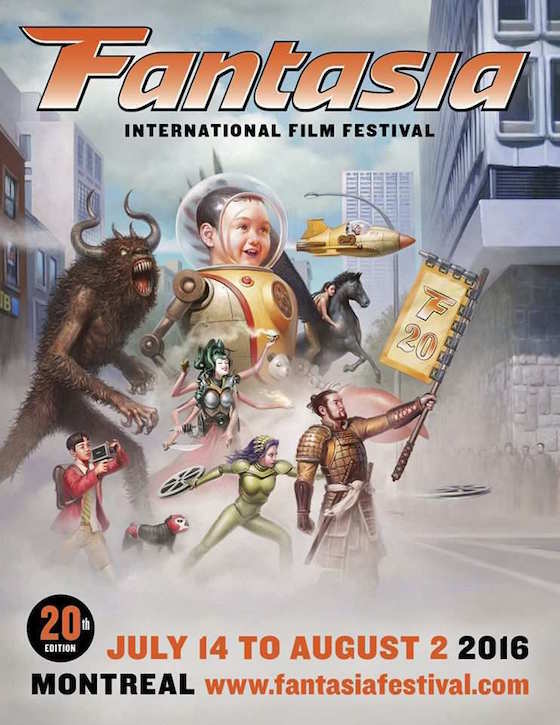 Beginning next week, genre freaks from the world over will flock to Montreal for the 20th annual edition of the Fantasia International Film Festival. As could be expected, organizers have pieced together one hell of a lineup for their major festival milestone. The festival's mammoth lineup includes 19 World Premieres, 18 North American Premieres and 47 Canadian Premieres, offering some of the world's best in fantasy, horror, comedy and, well, slightly askew filmmaking. There are a handful of Exclaim!-approved highlights screening at the fest, including Antibirth, Beware the Slenderman, Hunt for the Wilderpeople and Under the Shadow. And that's really just scratching the surface. Fantasia runs from July 14 to August 3 at Montreal's Concordia Hall Theatre. The full list of films and special programs is available below, and you can find much more information here.